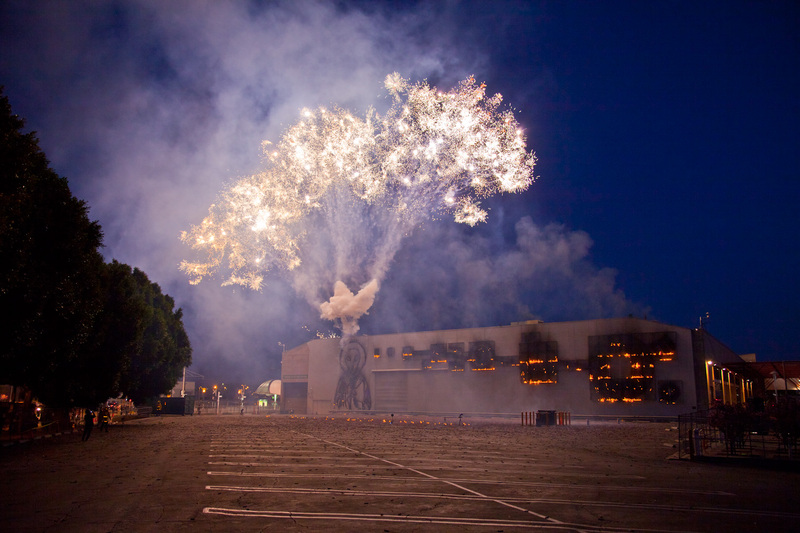 Last night at 7:35 pm, Cai ignited Mystery Circle: Explosion Event for The Museum of Contemporary Art, Los Angeles on the north facade of MOCA. 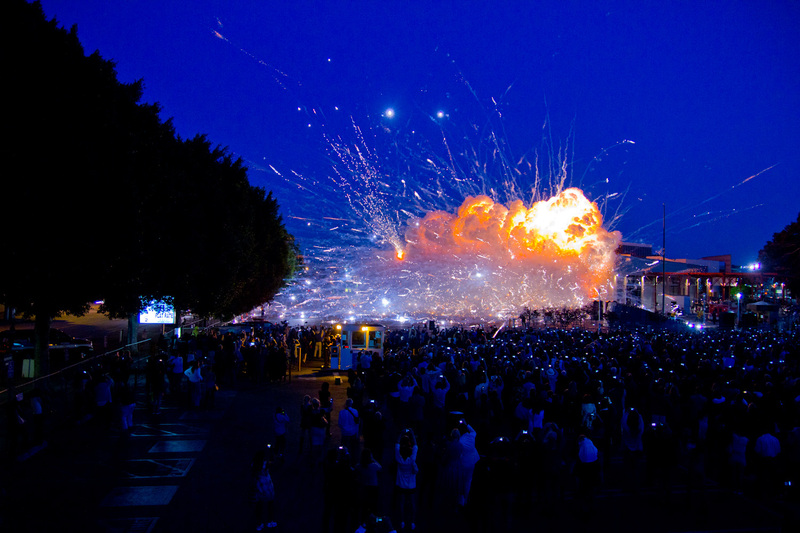 Lasting approximately a minute and a half, the explosion reached heights of thirty meters, with over 4,000 spectators in attendance. 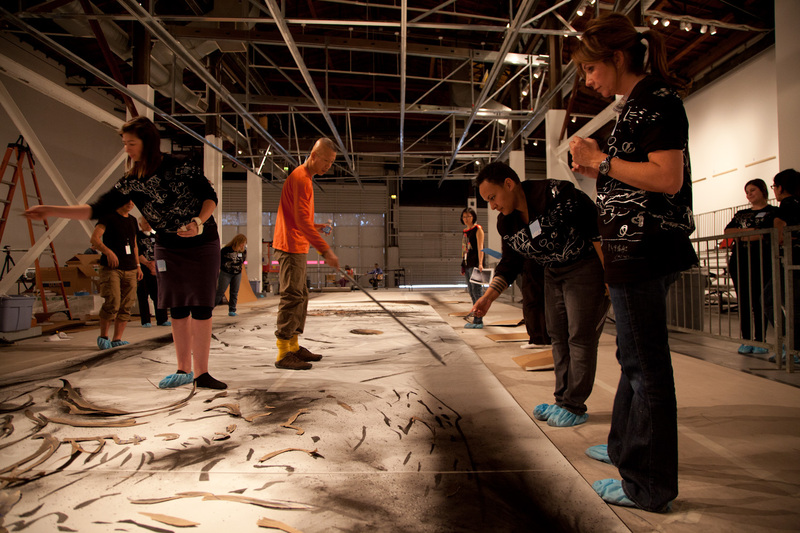 Art.sy Films came out to Los Angeles back in March to document the gunpowder drawing making process at the Museum of Contemporary Art. 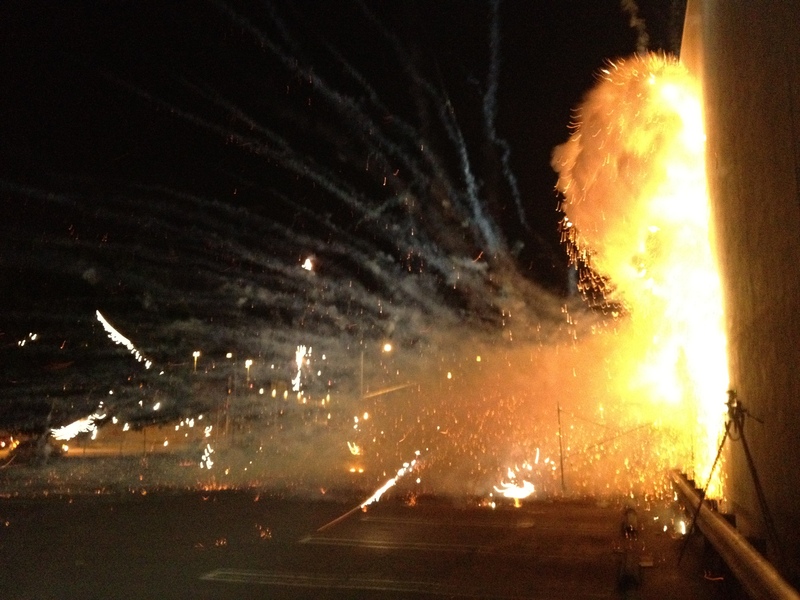 The results were quite stunning. 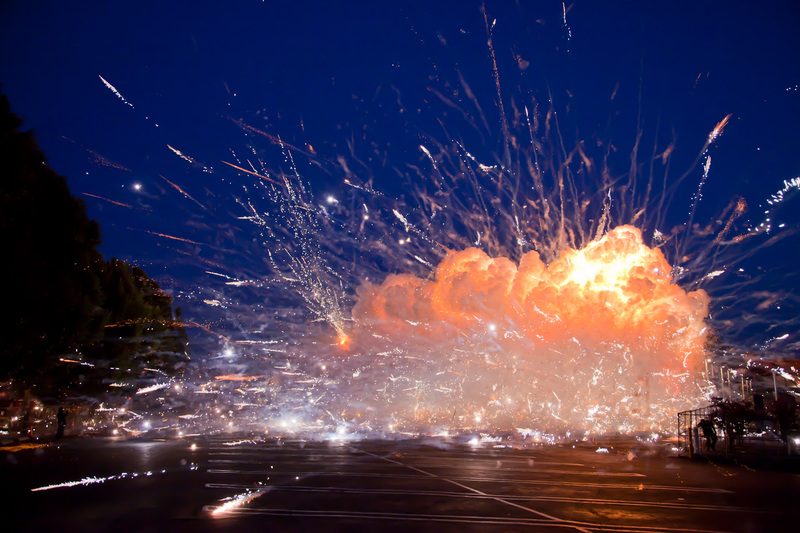 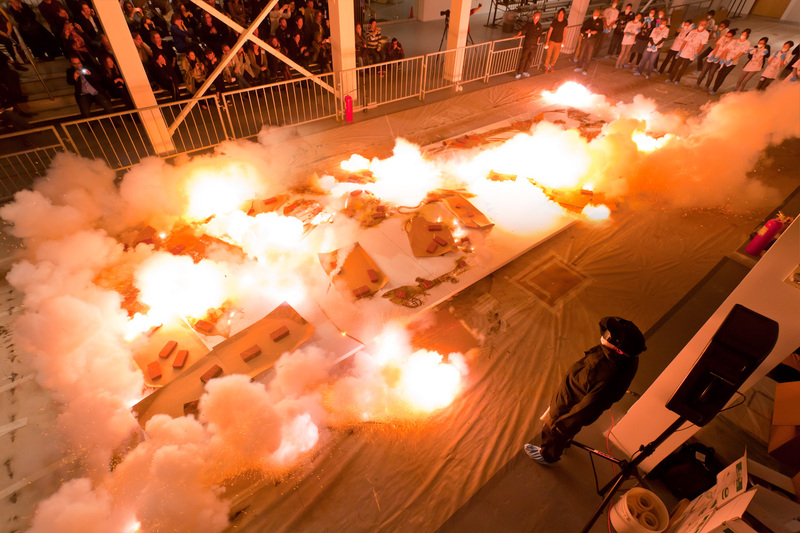 On March 7, Cai ignited the six-panel gunpowder drawing Desire for Zero Gravity. 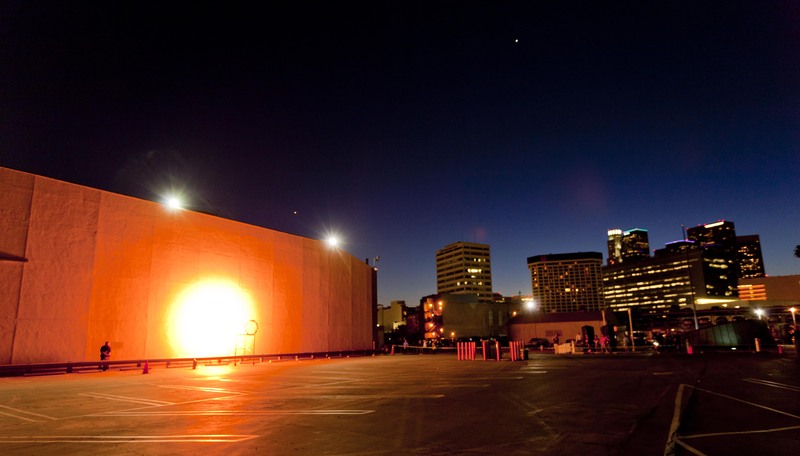 MOCA Los Angeles shares with us the footage. 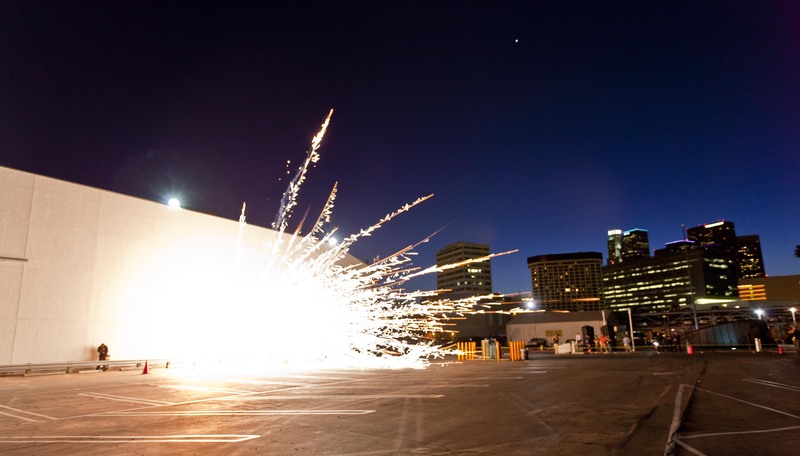 On Saturday, March 3, Cai exploded a few demos on the facade of the Geffen Contemporary in Los Angeles for the upcoming explosion event Mystery Circle. 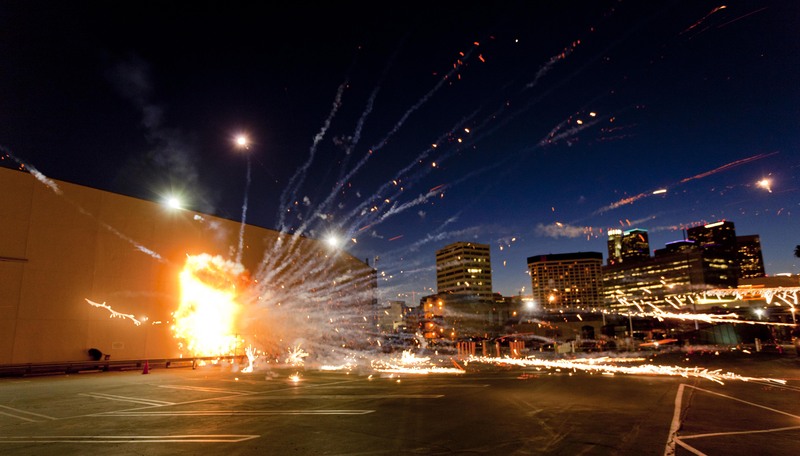 The four demos, at a fraction of the size of the anticipated explosion for April 7, ended up settling off a few car alarms and peppering the adjacent parking lot with expended rockets. 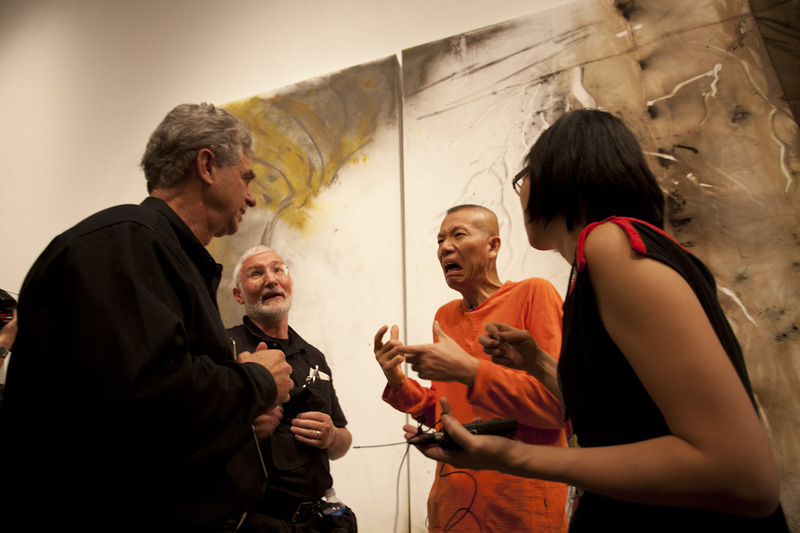 First three photos by Joshua White/JWPictures.com, courtesy The Museum of Contemporary Art, Los Angeles. 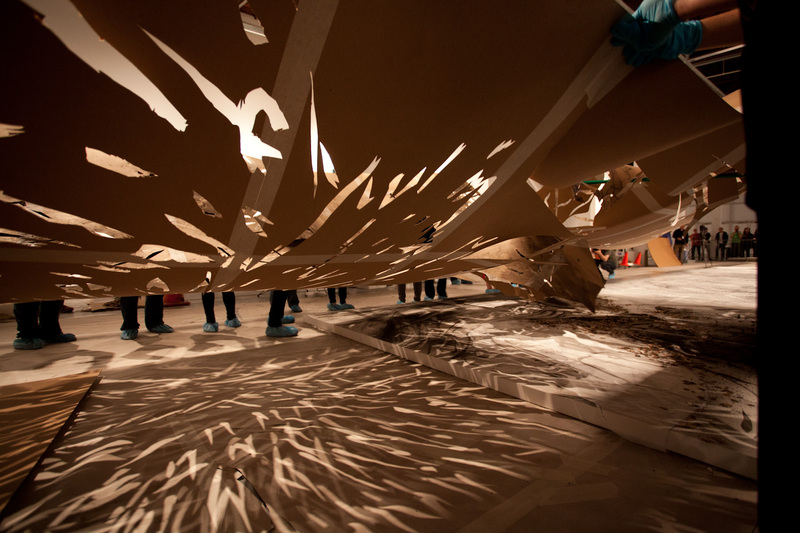 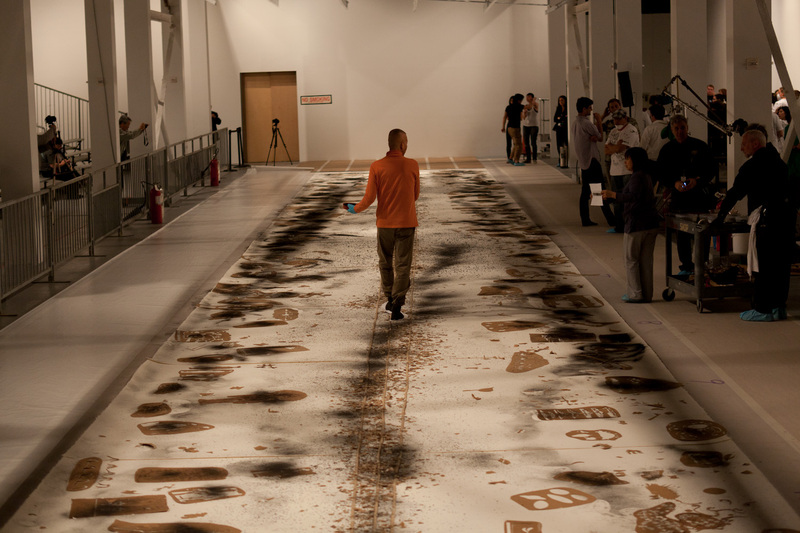 Fourth photo by Felipe Lima, courtesy The Museum of Contemporary Art, Los Angeles. 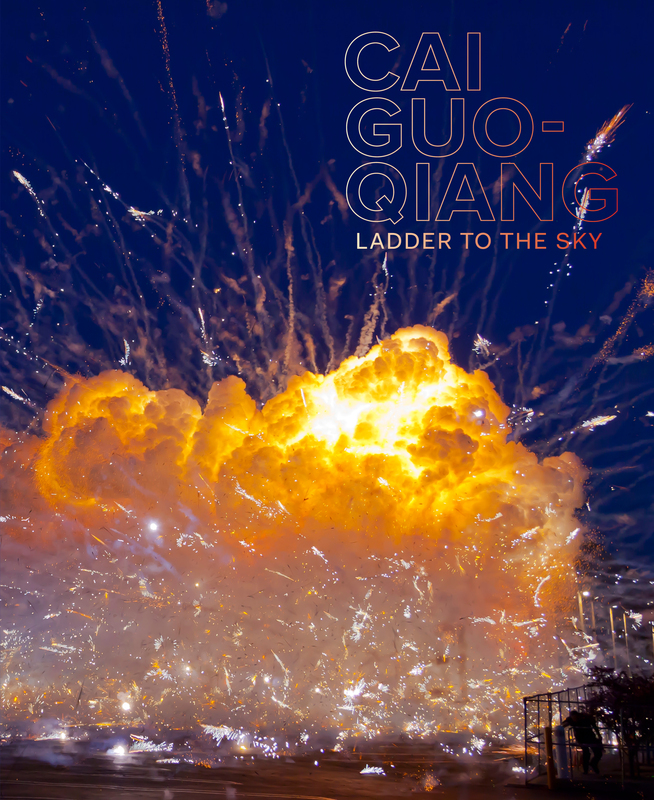 More information about the upcoming exhibition Cai Guo-Qiang: Sky Ladder can be found on MOCA’s blog here. 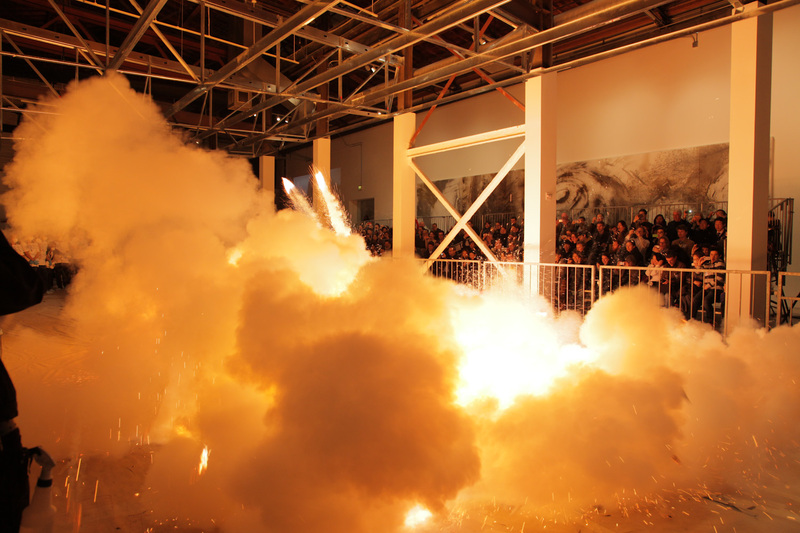 You are currently browsing the archives for the Sky Ladder category.